The release of HSI’s Encompass EHS Solutions Platform delivers first-of-its-kind integrated workplace safety training and chemical compliance into one ground-breaking system. By addressing the EHS market’s desire for accessibility and interconnectivity, this platform creates a strong foundation for an organization’s safety culture, no matter what industry. 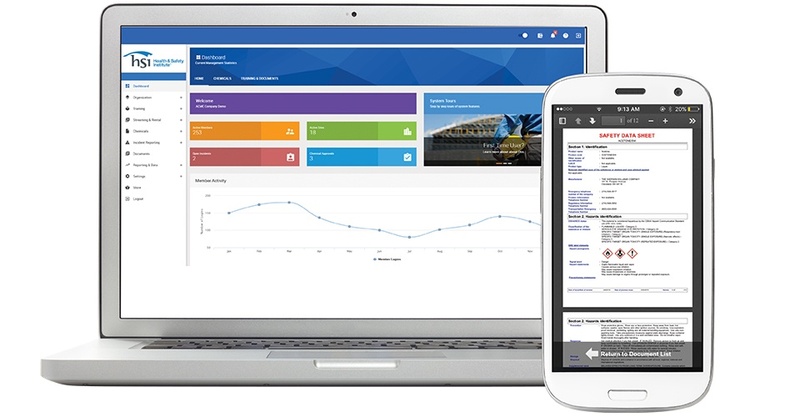 Combining the strength of Summit Training Source and SafeTec Compliance Systems, and their robust libraries of workplace safety training courses and safety data sheets (SDS), the Encompass EHS Solutions Platform offers a modern interface and user experience across HSI’s entire suite of products. The interconnectivity of the platform allows users to not only access the right compliance information, but act upon it within the same solution. The platform makes it easy for busy EHS personnel to address their organization’s total compliance mix, from safety courses to chemical management to emergency care training, through a simple user interface that’s powered by high-quality data. The next step for the industry’s first single-source system platform will be the inclusion of incident management tools and resources. To learn more about the platform, please join us for a free online webinar on Thursday, September 28 from 11:00 AM - noon Pacific Time. Register for the webinar by clicking the button below.